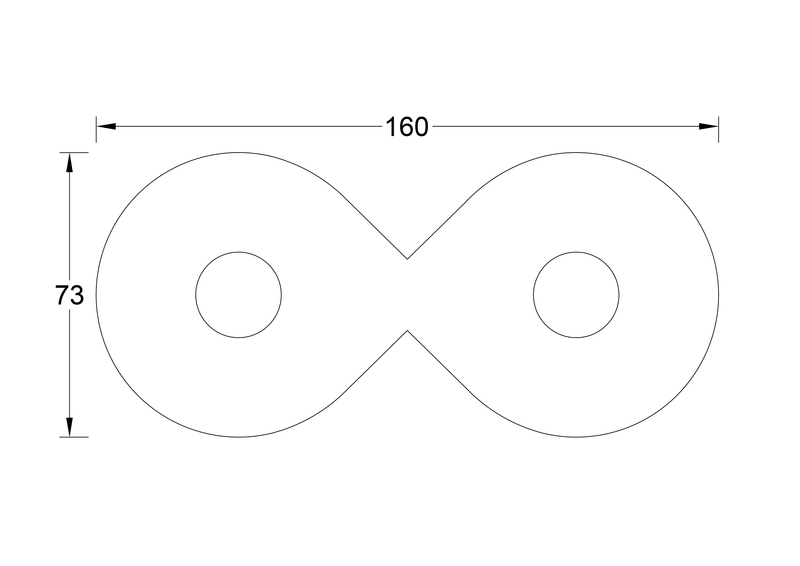 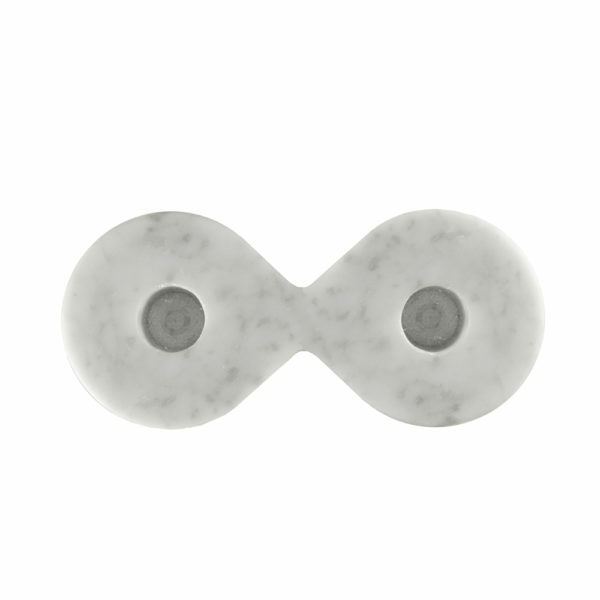 It is a candle holder inspired by the infinity symbol. 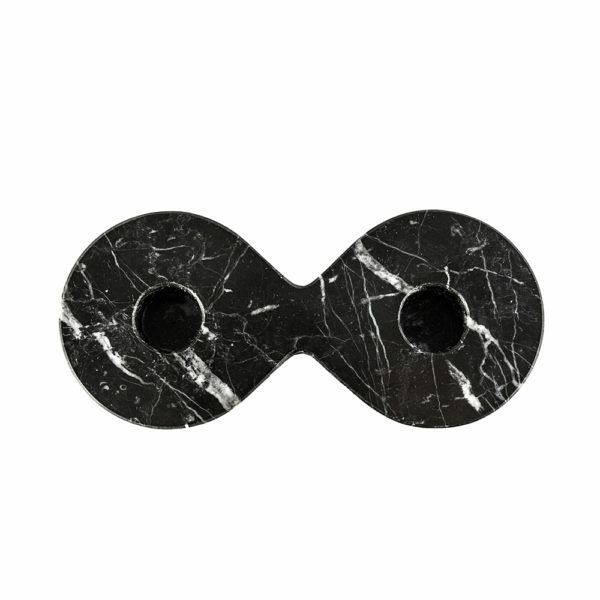 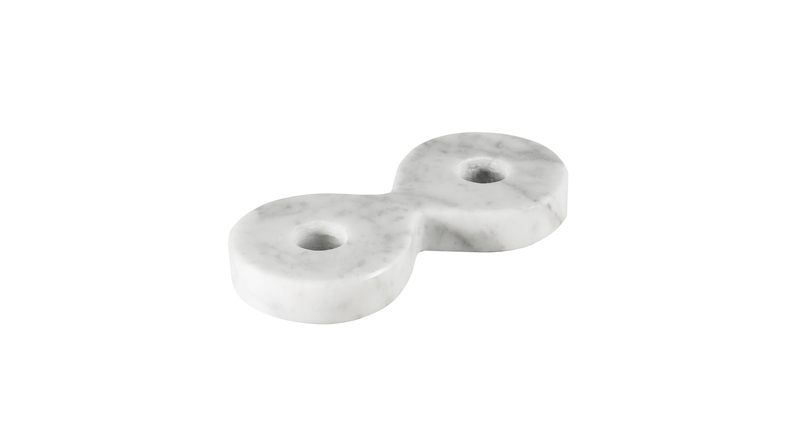 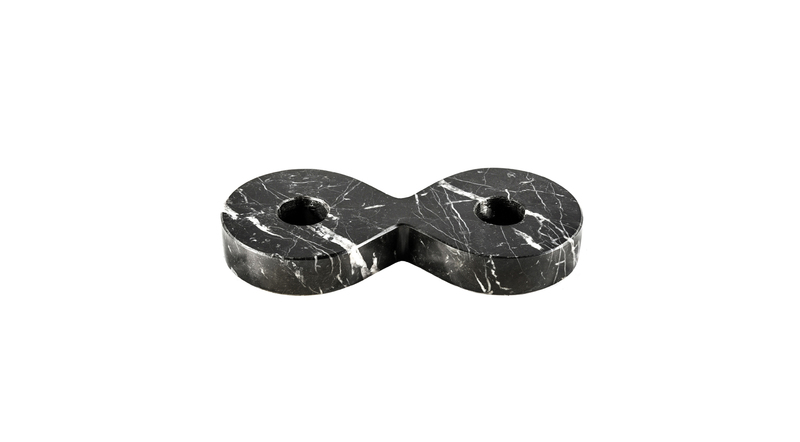 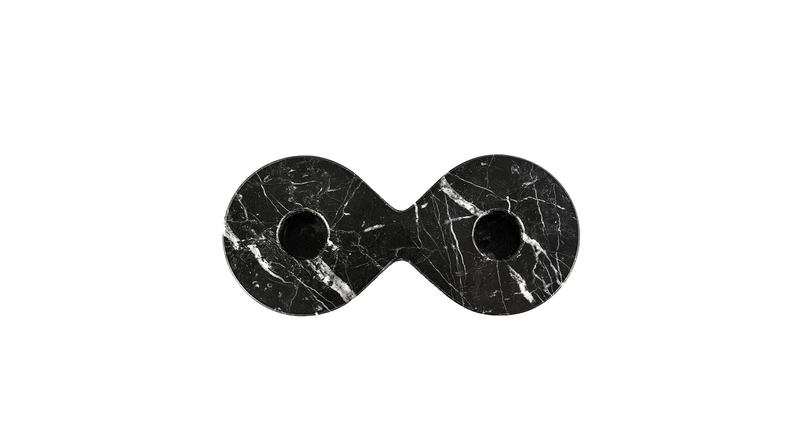 Made entirely of marble, it adapts elegantly to any modern or non-modern setting. 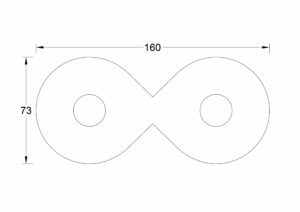 Infinity can hold two candles, and is perfect for decorating the table or lighting the atmosphere in every room of the house. 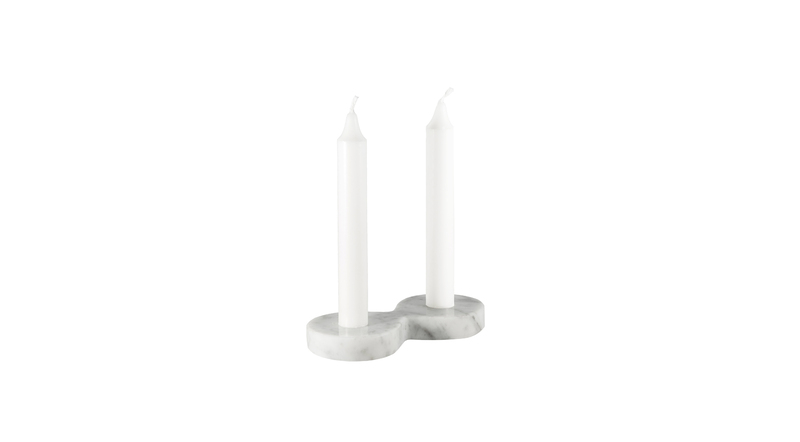 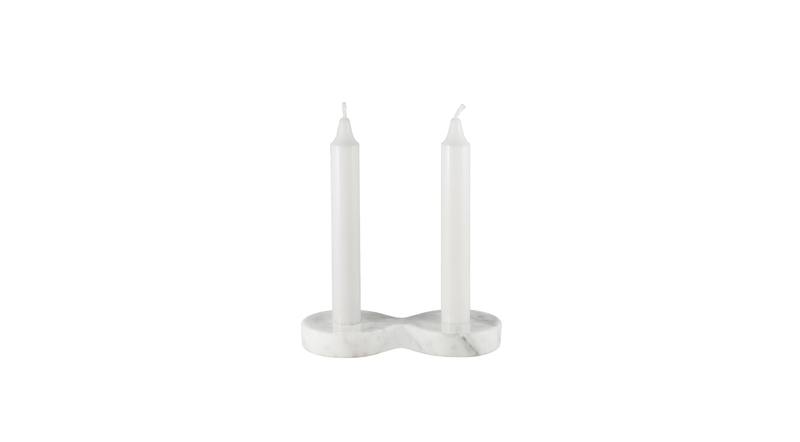 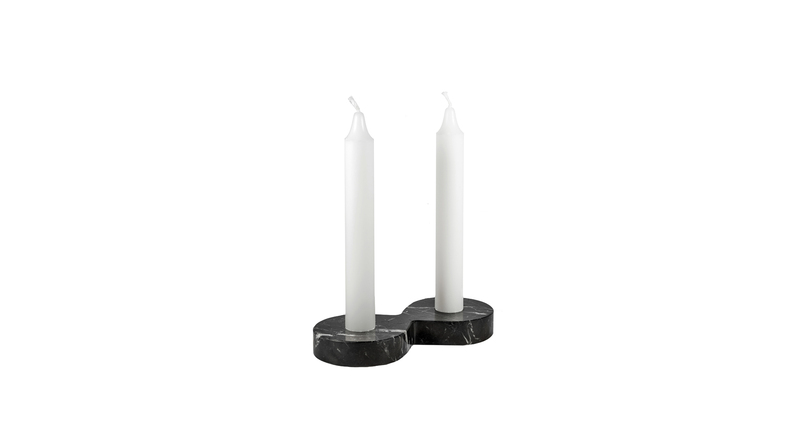 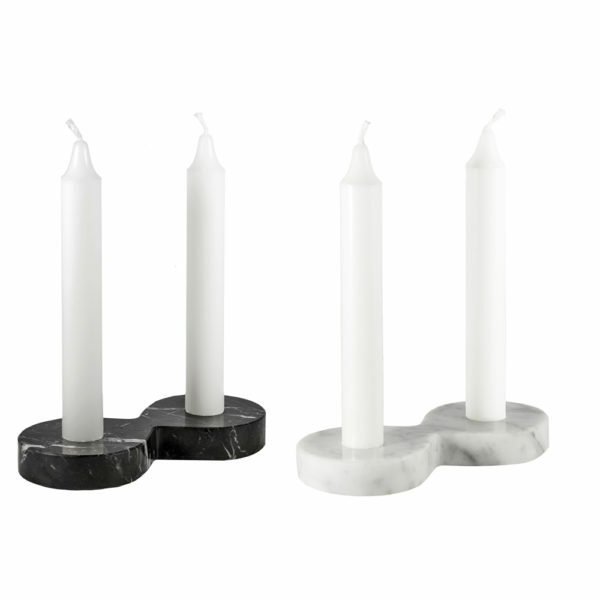 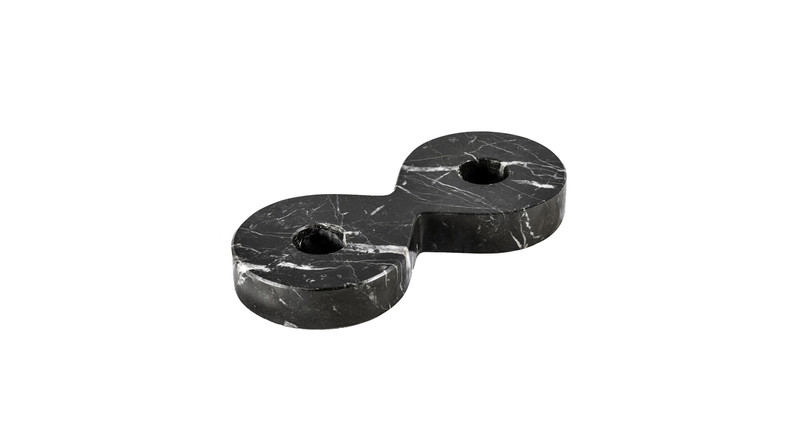 Two variants are available in classic white Carrara marble and elegant black Marquinia. 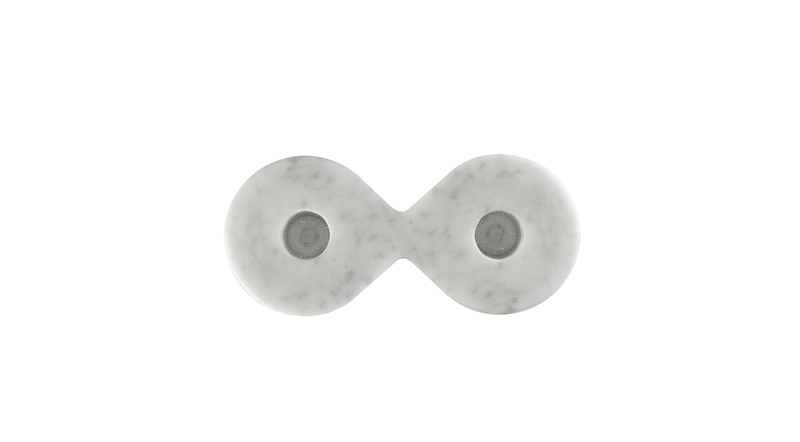 The different veins of the marble make each piece unique. 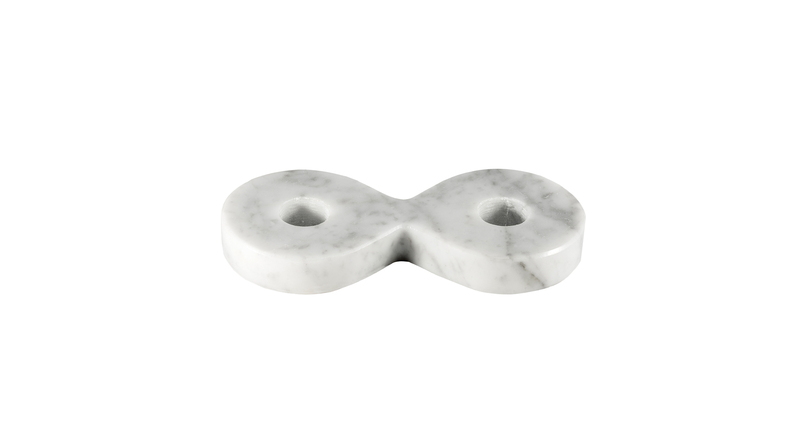 The stones used are of first choice, each piece is finished in every detail.